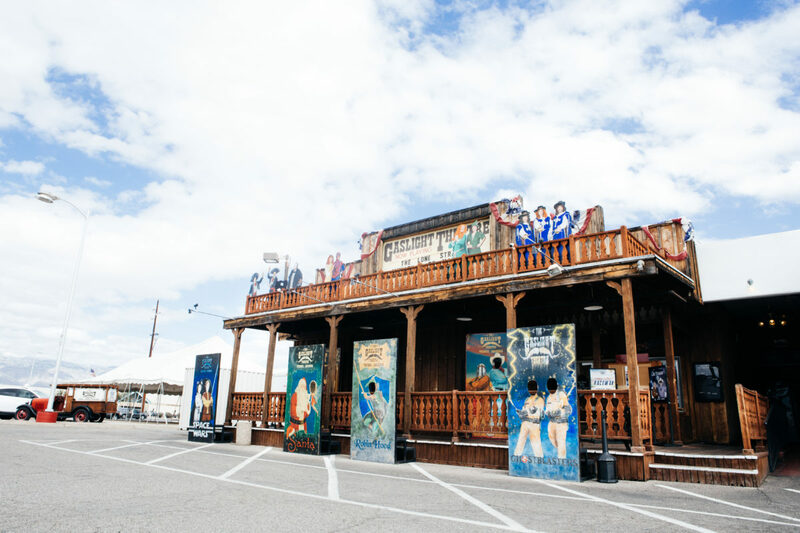 Vantage West Member Tony Terry Jr.—founder of the Gaslight Theatre and its family of sister companies—built an efficient operation designed for family fun. Here’s how he grew his business and why he still loves every second of it. Most people wouldn’t move to a remote Alaskan town to establish a live theater company. But Tony Terry Jr. isn’t like most people. For his more than 60 years on this planet, Terry has rarely taken the easy route. As his more than four decades of running the Gaslight Theatre will attest, it’s worked quite well for him. 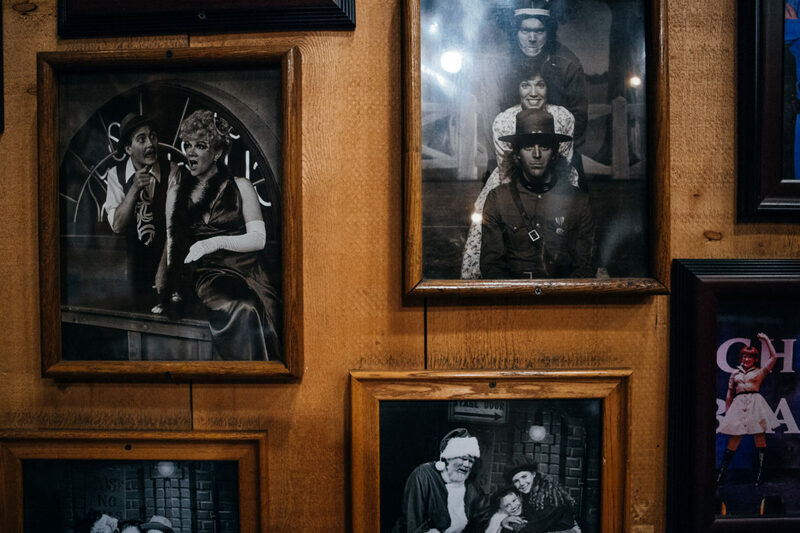 The Gaslight now stands as one of Arizona’s longest-running live theater venues and occupies a sprawling collection of buildings off Broadway and Kolb, including a throwback diner, a pizza place, a costume studio, and a print shop. Two years ago, Terry opened a Gaslight spinoff, the Gaslight Music Hall, in Oro Valley. In effect, Terry has created his own empire of food and entertainment. Ironically, Terry’s success behind the stage as a theater producer began with failing onstage: He says that he made the decision to become a producer after he was told he had no talent as an actor. Terry didn’t let these early words of discouragement get him down. Instead, he switched gears, starting his own theater troupe—the Mighty Mouse Melodrama Theatre. He created it in Skagway, Alaska, a tiny town still boasting a population of less than 1,000, where he had taken a gap year to be a tour bus driver. Through the group, Terry wanted to produce the types of melodramas he enjoyed as a child. It was a risky move, but Terry kept faith in himself that he could pull it off. After the Mighty Mouse Theatre’s one and only show, Terry returned to Tucson to live by his maxim of working harder than anyone else. First, he completed his bachelor’s degree at the University of Arizona, originally entering as a pre-med student, but later becoming more interested in his minor in technical theater. This led to Terry’s dream of starting his own theater company in Tucson. While most people spend their post-college years handing out resumes and chasing a paycheck, Terry typically went in another direction. He was able to secure a $10,000 loan from his grandmother, who used her credit to guarantee the loan. He still remembers the banker, Mr. Potts, sealing the deal with nothing more than a handshake. However, even Mr. Potts was skeptical of Terry’s plan. 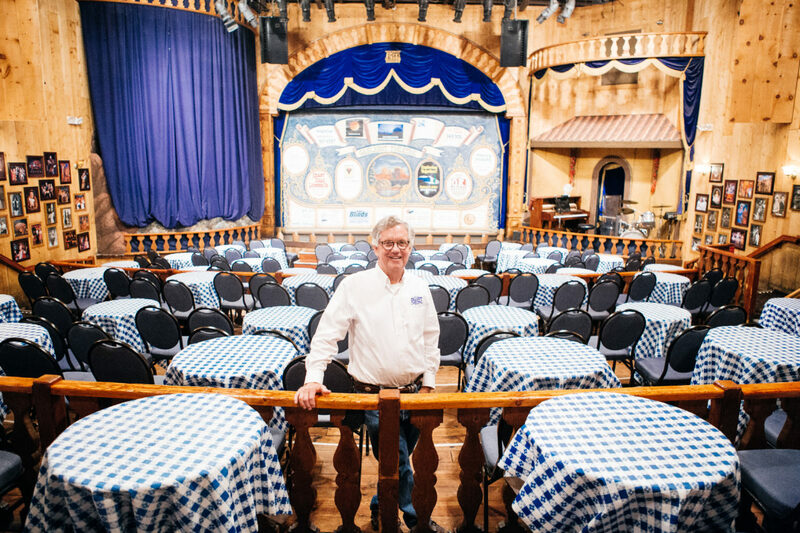 Terry used the $10,000 to fund the first iteration of the Gaslight Theatre, a 100-seat venue at Pinnacle Peak. And, to his surprise and delight, the theater proved to be an instant success. Within two years, he needed a larger venue to accommodate Tucson’s swelling demand for the Gaslight’s family-friendly style of entertainment. Terry moved the Gaslight to a location at Sabino Canyon and Tanque Verde for the next ten years, where the theater experienced even more success. Eventually, Terry was able to purchase the land on Broadway Blvd., where the theater currently stands, after experiencing years of overwhelming demand and becoming a Tucson staple. In time, he acquired enough assets to form a lean, vertically-integrated operation that would make the Rockefeller family jealous. 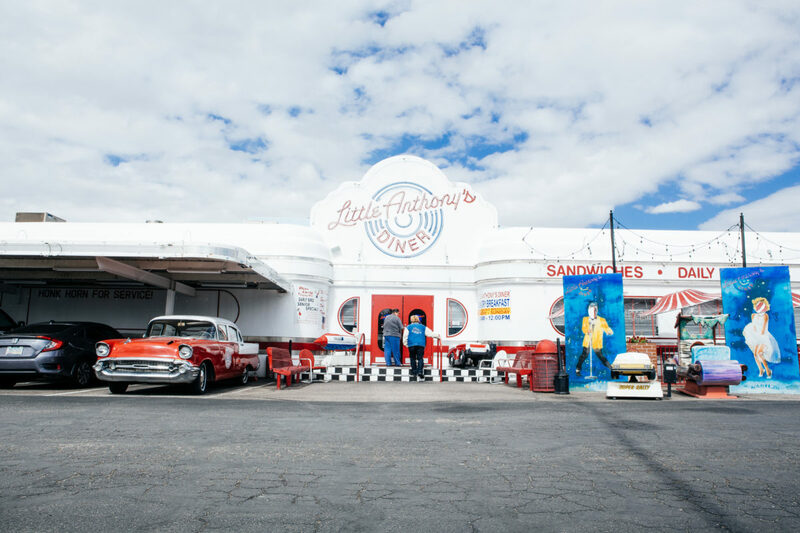 It began over 20 years ago with the opening of Little Anthony’s Diner, an adjoining restaurant that features a throwback ’50s theme that fits the nostalgia-laden interior of the theater. Little Anthony’s was soon followed by the opening of a costume shop, also located on the premises of the Gaslight, where all of the costumes used in the Gaslight’s productions are made in-house, rather than contracted out through another company. The same goes for the print shop, which produces most of the promotional materials for the theater when not serving the community. Terry says that the print shop idea came to him after he realized he could save on costs by purchasing his own printer. Housing everything within the confines of the theater allows Terry to efficiently produce the materials for each production without relying on outside factors—and also provides him control over the quality of the materials. It’s these kinds of innovations that allow Terry to compete with operations that may have a higher budget. “I like the competitive side of being the little guy,” he says. Rather than pumping money into expensive media campaigns, Terry says he has fun leveraging his social media presence to bring in business. He also attracts lots of repeat business by personally engaging with customers. For example, Terry lists his personal cell phone number on every placemat at Little Anthony’s Diner so he can immediately handle any customer concerns. This prevents customers from simply griping on Yelp, which Terry says doesn’t serve to solve problems, but mostly serves as a forum for complaints. Terry says that he wouldn’t be able to accomplish any of these feats without his staff, and often peppers his conversations with references to various employees who have helped him along the way. This includes actress Heather Stricker, who also serves as theater manager and who Terry credits with keeping the operation up and running. Throughout the day, Stricker flutters around the theater grounds, answering phone calls, posting promotional posts on social media, and putting out various fires—all with a smile. Much of Terry’s staff has remained in the operation for decades. Some of the actors have been with the company since its start, and Terry has leveraged life-long friendships to help run the theater. He knows his business partner, Tom Denson, who helped design the Gaslight, from back in his Boy Scout days, and his lighting designer, David Darland, was Terry’s neighbor growing up. This sense of community led to a natural fit with Vantage West. 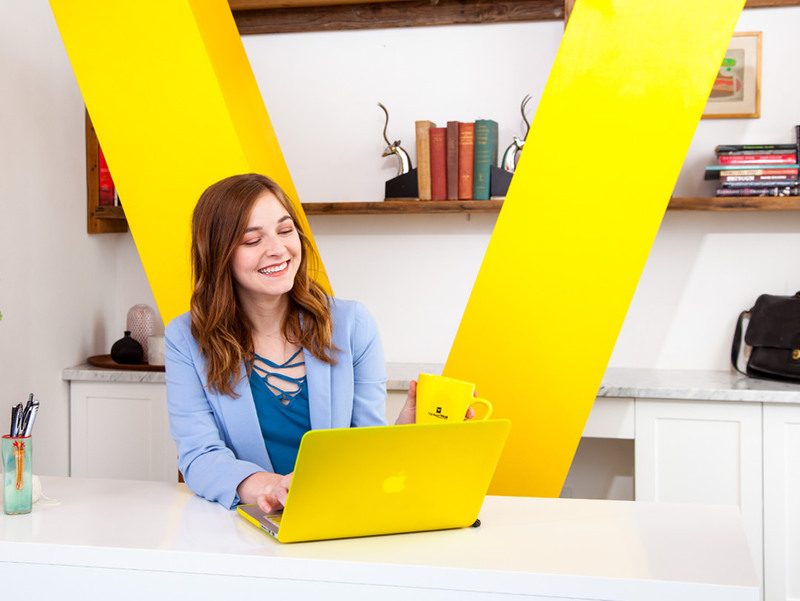 Terry began a business relationship with Vantage West in 2007 and says the no-cost business banking initially attracted him, along with the need to keep his business local. His interactions with Vantage West remind him of that initial handshake with Mr. Potts—rather than an impersonal bank operating in another state, he found a partner with mutual interest in keeping the community strong. Terry says that enjoying your job is one of the most important components of success. When asked about how he’s succeeded over the years, he says it’s because he loves coming to work every day.